Greetings from sunny Southport (well it was earlier) on Eurovision Saturday! 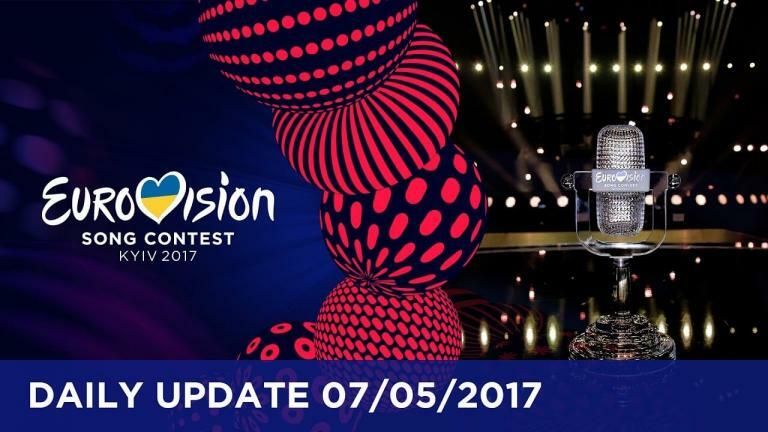 Tonight the ESC2017 reaches its climax with the Grand Final, after two entertaining semi-finals. No one seems to have located my Euro-mojo. I certainly haven’t! Just one of those things this time around, I guess (although you will see my realisation on my comments for song 25, below!). I think the main reason is that, other than Sweden and the departed Finland, I don’t much care who wins. I’m ready to be surprised by the outcome tonight. Italy were dethroned as bookies favourite last night, and it is now Portugal predicted as the next winner. It’s all bonkers for me – let’s see whether the professional juries and voting public think it’s the best song. 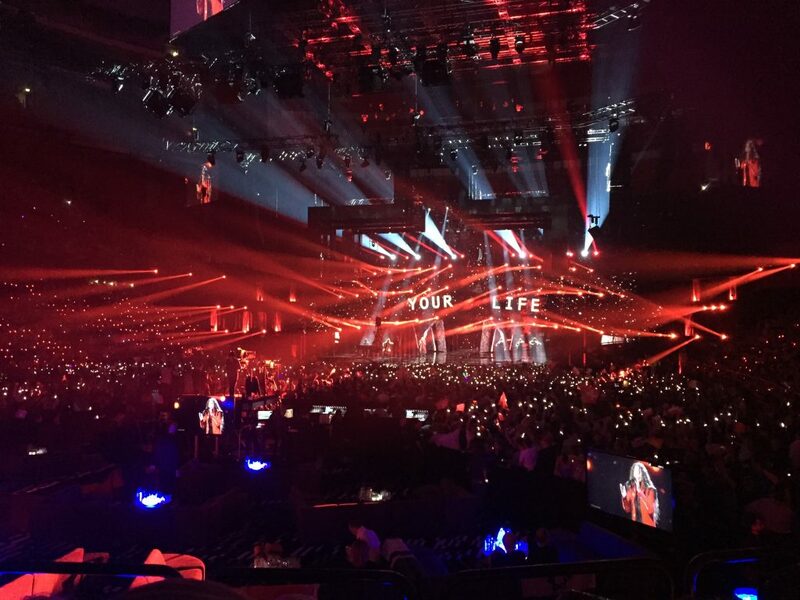 The last performance of the second semi-final opens the show. Yeah, we need an up-tempo number to get our Euro-party started. Not Israel’s year, and certainly not the strongest song they have sent in the last few years. Mind you, as I said the other day, if pretty boys won the Eurovision, we’d be off to Jerusalem next year. No song has ever won from performing second, and that ain’t gonna change this year. I think this is a rather dull ballad, and the early draw will kill it off. Although let’s not forget that Poland had a * huge * televote last year, so the diaspora vote may lift this in the final standings. This was one of the biggest crowd-pleasers of either semi-final. Is it too early in the draw? I want it to do really well, and it is one of the songs that puts a smile on my face. And the presentation on stage was cute. C’mon Belarus! Another cute song and performance. And with the Ed Sheeran sound it should do ok. Perhaps a little early in the draw? I was disappointed by the performance after seeing the highly choreographed video. I do like the song, and it’ll do well. FYI, Eurofans, this is my most-listened-to ESC song this week. Love it. What’s not to like: fab harmonies, that retro vibe and those bejewelled frocks. These three sisters are certainly doing it for themselves. I think being later in the running order would have helped them. I am willing them on! Kill me, kill me now! This will do well, but a bit like Latvia and those pirates of the sea, all those years ago, I find it highly irritating. And it was one of my students who was telling my the internet sensation that the sax guy became a while back. Funny that, because I find the sax the most irritating part! Points off for the man bun! Although kudos for standing out with something suitably indigenous musically from Hungary. Nice song, fab vocal, nice performance. A bit beige for me, but the performances this week have lifted the song. I like it more than I did. But do you get my thing about it getting a bit too Mariah Carey screechy towards the end? Well, will we be in Lisbon next year? Will Europe see through the slightly awkward performance and be enchanted by this chanson? I really don’t get it being installed as the fave. But then, I’m ready to be surprised tonight. The bonkers aspect of the man on a ladder with a horse head hasn’t been explained. We are apparently to draw our own conclusions. Well, yes, I have! Blimey, that weird thing of switching between the opera voice and the regular voice is a bit strange! Clearly peeps like the life-affirming message of the song. As I said yesterday, this is one of the most impressive visuals. I love the backdrop and the projections. Very clever – it will lift the song. His vocal was a bit pitchy in rehearsals, so let’s see if that improves. Good effort from Spain. I was surprised to see this in the final. Clearly the rather unoriginal sound and visuals were of more interest to the fans and viewers. I think it’s the guys wearing masks – not particularly original. 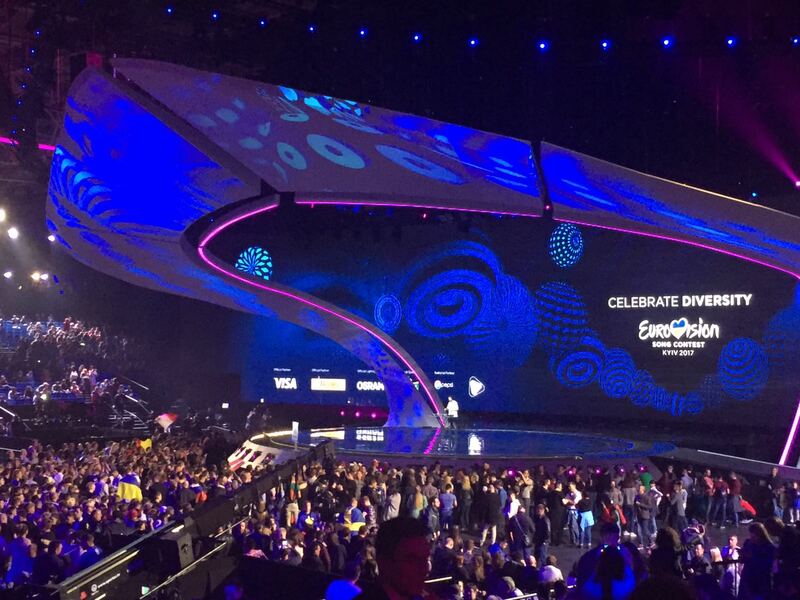 Yes I know – since when did Eurovision have to be original! Blimey, the UK is in the top ten favourites! Lucy Jones has impressed Kyiv with that belter of a vocal, and coupled with the visuals it does have impact. For me, the song is dull, dull, dull. Of course I want Lucy to do well, and I will be cheering the UK on. Let’s see if we can break with tradition and end the evening on the left side of the leader board. I am not holding my breath! For me, this is the most improved song of the week. I love the staging – it’s clever and it makes the most of the song, with stylish visuals and choreography. Of the men performing tonight, it’s one of the best for me. The rock vibe stands out from everything else, but certain to not scale the heights of last year for the host country. OMG – I might just have had a realisation why my Euro-mojo is weak this year! I think it’s because I can’t understand why the whole bunch of songs that are predicted to top the leader board are predicted to do so. And this song, as much as Portugal, baffles me why it’s third favourite. Yes a decent song, and a visually tidy performance, but I just don’t get it! Not the best song to end on. Sweden would have been better. All rather dull for me. Well, my Euro-chums, that’s what I think. And yes, I do seem rather unimpressed, don’t I! Not to worry, because for all us fans the excitement is building and I am looking forward to the show, and let’s hope that Graham Norton is on good form. I’m off to sort the drinks, snacks and nibbles. 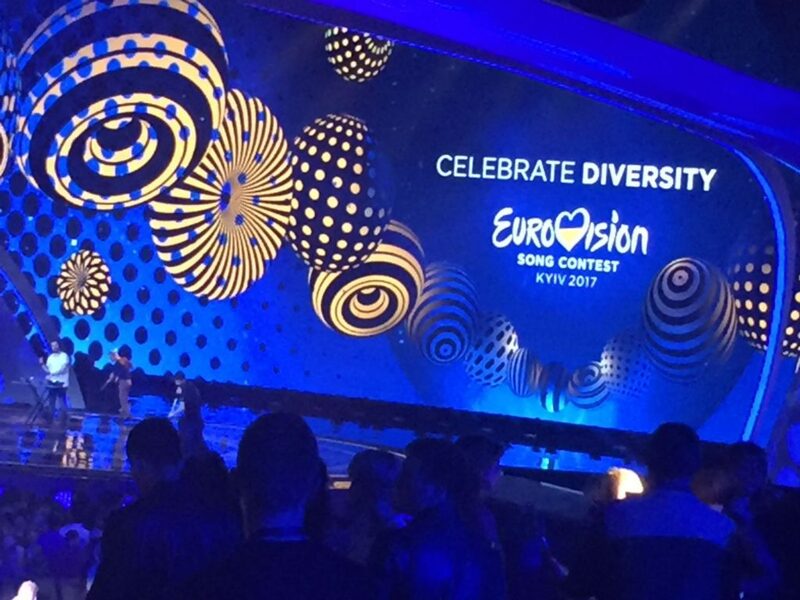 Let’s get our Euro-party started and “Celebrate Diversity”! After another entertaining evening, what did we learn from the second semi-final? It wasn’t clear what ‘losing our Verona’ meant. Verruca perhaps, Estonia? Key changes were back, again! This is the bookies long-term favourite. It has been * for months *. I don’t mind the song, but I find the silly dance and the man in a gorilla suit a novelty that actually makes me grumpy about the song. I have read somewhere this week that Eurovision needs a feel-good winner this year, and this would certainly be that. And I wouldn’t mind a week in Rome next year.. Given that there isn’t anything else that sounds like this, it might do well. Not that we will be travelling back to Kyiv next year! As you would expect with the carefully planned draw for both semi-finals, we start with an up-tempo number. Another mainstream pop record – probably the most pop entry that Serbia have competed with. Coupled with a whiff of traditional instrumentation it’s a good pop song. A bit reminiscent on the chorus, with the melody of Katy Perry’s “Firework”, and The Sugababes “About You Now” on the verse. I’d like to see it progress to the final. As we celebrate diversity at the ESC this year it seems a little odd that only a handful of songs are sung in a language other than English. Hungary stands out for not doing so. Also, one of the few songs to have that indigenous flair to the music. I like it. Listen to the lyrics of this song and have life affirmed. A bit of a popera crossover song. Cracking vocals from Jacques. If a song gets to the final with a bit of welly, then this will. … and a song that, during the first listen, you will be singing along with before the end – which is a bonus for songs in this competition. A finalist, surely? 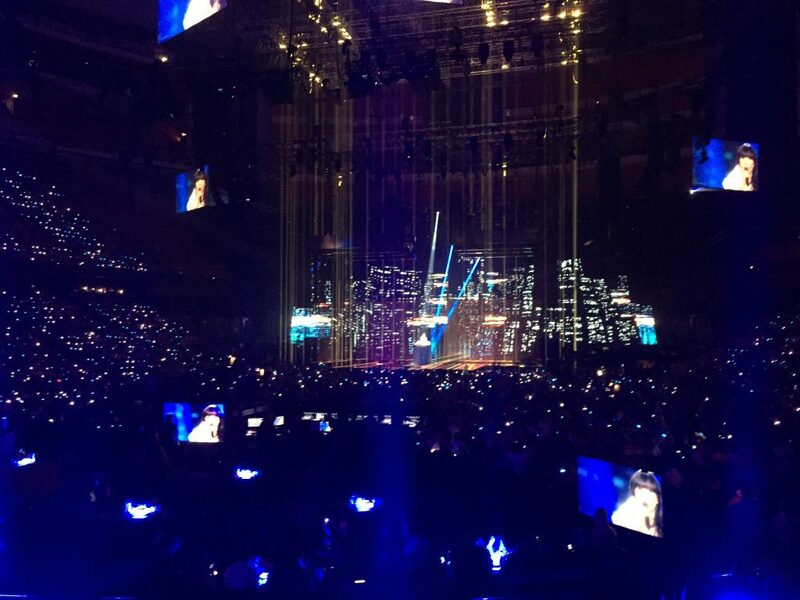 Koit Toome and Laura duet for Estonia, and it seems they are lost in Verona. Nice vocals. But I’m a little bored with the song. Is it going to be lost in the draw? I think that this semi-final is the harder of the two to predict, as is usually the case every year. As on Tuesday night I’m going to decide my napkin of death top ten qualifiers during the show, and I’ll post it in the comments section below. See what you think later tonight. After an entertaining evening, what did we learn from the first semi-final? Key changes are back, b-a-c-k, B-A-C-K! The presenters were just awful! I got 7/10 on my napkin of death. How did you do? I’d have had more if I hadn’t taken out Greece and Poland after I’d seen them performed on the ESC stage. I thought Georgia sounded a lot better with the ESC performance, and was * gutted * when Finland didn’t get through, and slightly surprised Belgium did with that performance (although I like the song). 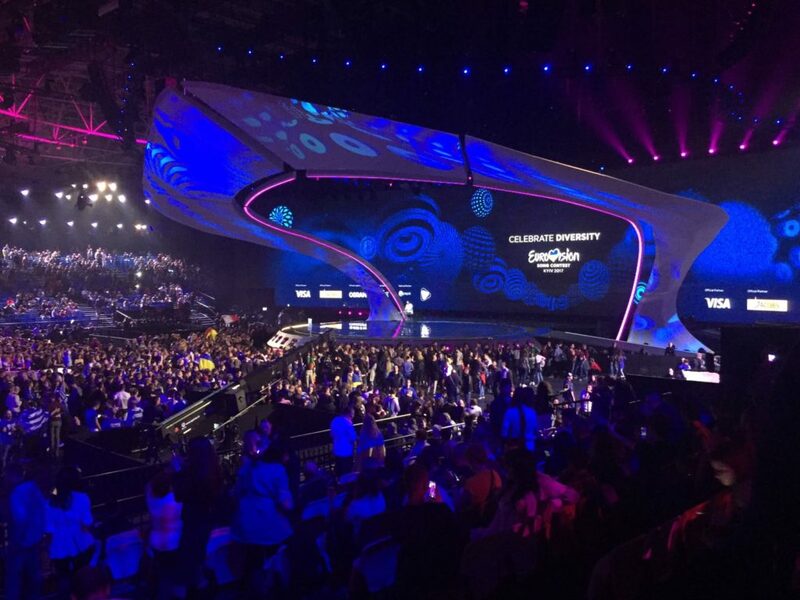 The stage looks amazing – the only thing I am missing about not going this year is that I don’t see the stage in person. Still, it looks fab on the telly. Brian informs me that the venue is actually quite small. By the magic of telly it doesn’t look tiny, does it?! No major changes in the betting odds. The UK has advanced a couple of places, but Italy are still the bookies fave. 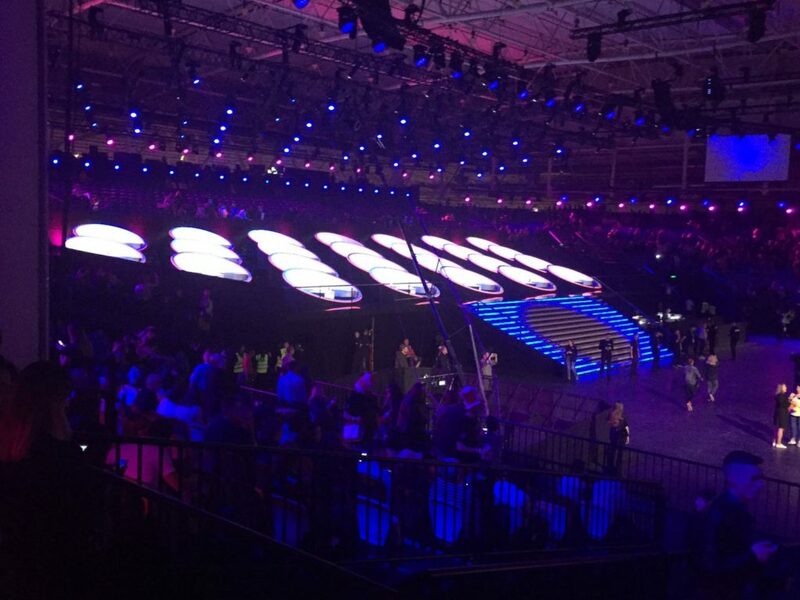 It’s almost time for the first semi-final of ESC2017, broadcast in the UK at 8pm on BBC4. I’m actually going to watch the YouTube live stream – I can’t stand the inane commentary from Scott Mills, so I’ll stream from the YouTube feed on my telly. Great visuals, and I love the logo and the use of the beads motif. A nice bit of graphic design, as always. 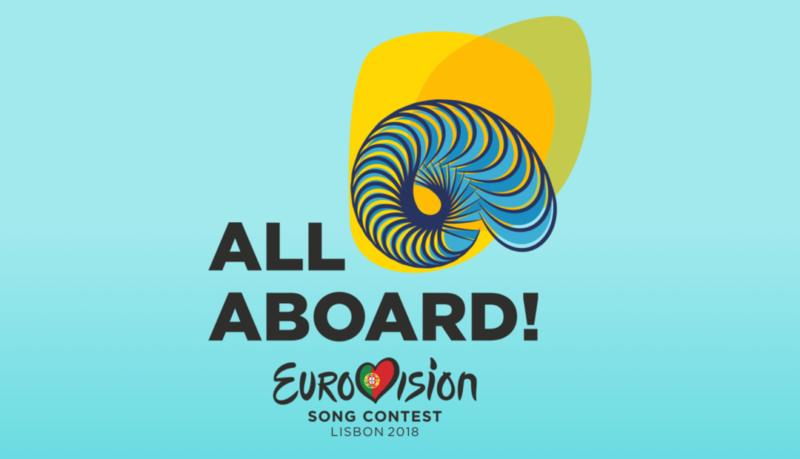 So soon in this semi-final, this song and the Georgian entry start to overlap, for me. More drums, more vocal gymnastics, but this is a much better song. The staging will play a key part. There needs to be a wind machine, for sure! I loves me some wind machine, people! Lindita is certainly singing like the rent is due tomorrow, so I hope it makes it to the final. Belgium have regained their Eurovision mojo in recent years, with a succession of good contemporary songs. This year Blanche represents with the song “City Lights”. On first listen the dusky vocal could be mistaken for a male vocal, but not so. One of the more laid-back tracks in this semi-final. I like the tempo, and the shades of Lorde and La Roux. Is it too subtle? 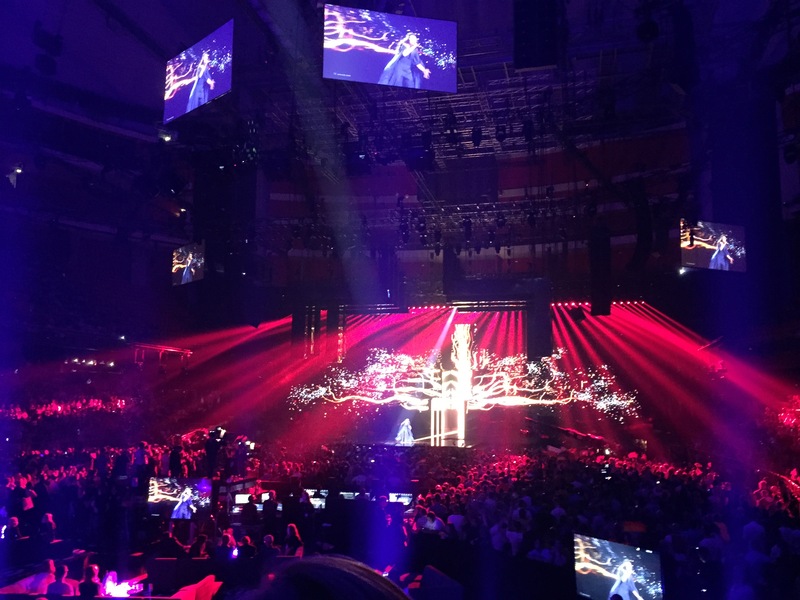 Again, the staging will be key in catching the attention of the juries (who * will * like it) and the televoters. I hope it gets to the final. Another country with an accomplished record at Eurovision. Competed nine times, qualified for the final nine times. Won it once. I see no reason why it won’t qualify for the final this year. Whilst it’s a contemporary sounding song, I am a bit bored by it. 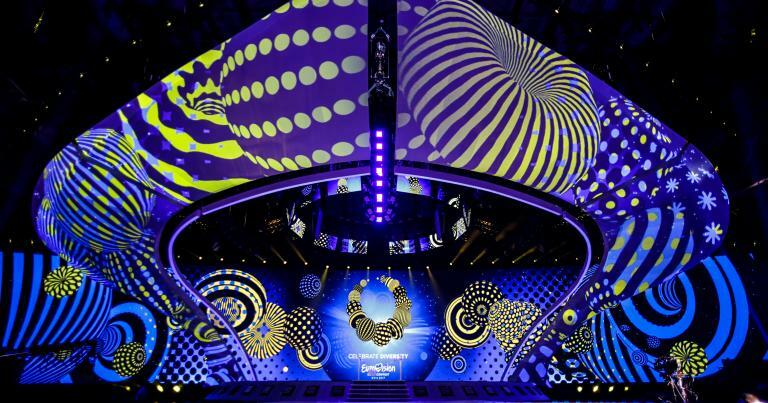 That said, with what I hear is one of the more visually interesting staging’s in Kyiv, it should progress to the final. There was much huffiness inside and outside of the Eurovision bubble, last year, when Greta Salóme didn’t make it to the ESC final. FYI, pop pickers, her song “Hear Them Calling” was my favourite song of 2017. 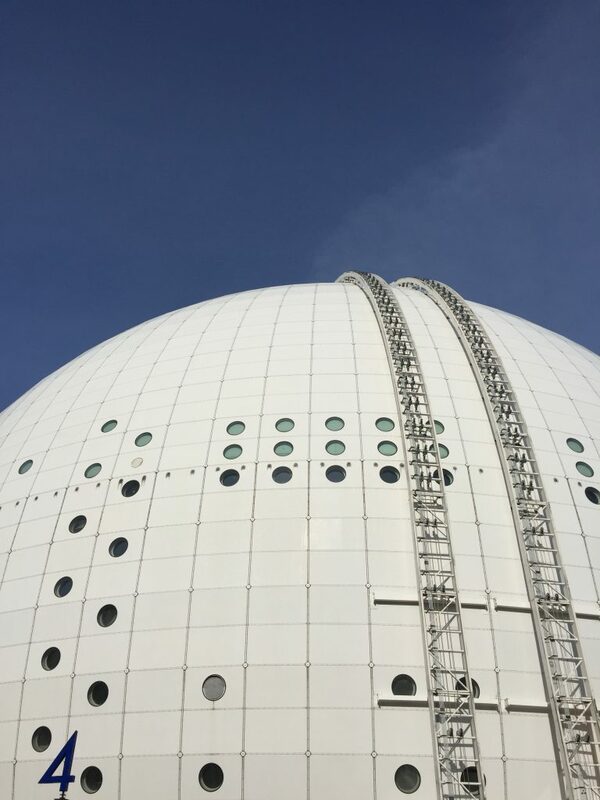 You know, inside and outside of the Eurovision bubble. I know, right. Currently occupying the top ten in the betting odds. This will sail through to the final. If the music video is anything to go by, the performance will be one of the more choreographically-charged performances. And nice flourishes of indigenous music in the contemporary pop mix. So what do you think? Can you choose 10 finalists. I will be back on Tuesday PM with my final thoughts, with a plan to live blog during the semi-final and give my final ‘napkin of death’ before the results are declared. 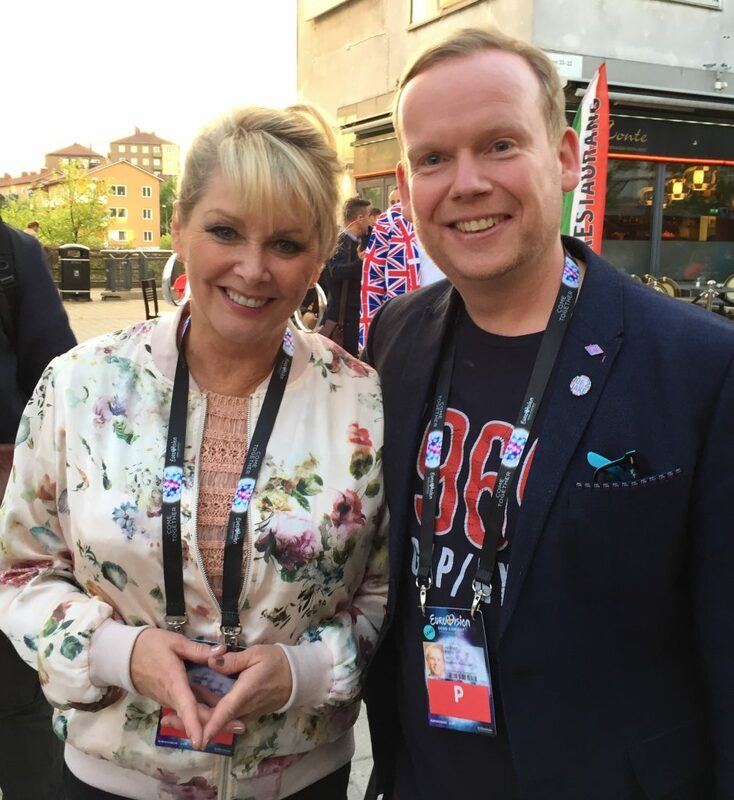 It’s Eurovision week once again – and can you believe that it’s a year since I was in Stockholm for ESC2016. 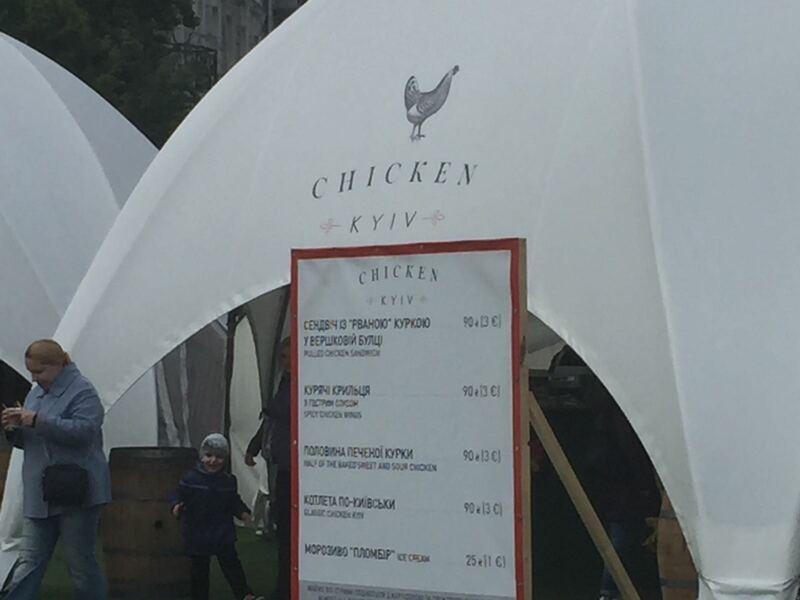 Following Jamala’s victory with the song 1944, the Eurovision Song Contest has has travelled to the Ukrainian capital, Kyiv. 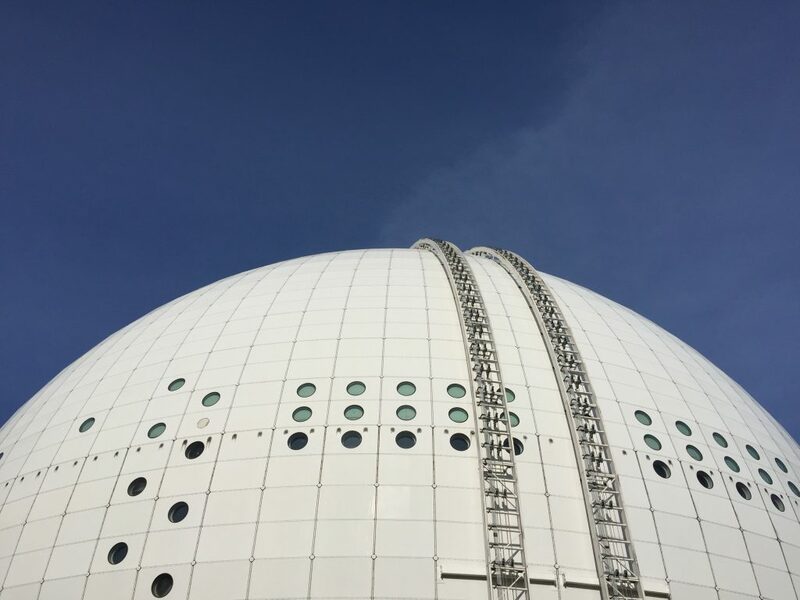 I, however, will not be making the Eurofan pilgrimage to the wonderful ‘Eurovision bubble’, having decided last year that I would watch it from home. I did the same back in 2012 when I felt like a year off. It’s lots of fun being in the bubble, but sometimes it’s nice to chill and watch it on the telly with friends. Whilst I am not travelling to Kyiv I will be posting my thoughts on the runners and riders in the contest this year. I probably say this every year, but I’m not feeling terribly inspired by the songs this year, so it’s a good time to be watching from home, and not trapped in the arena. I’m lacking my Eurovision mojo, but hopefully with the first semi-final on Tuesday night, I’ll get inspired. 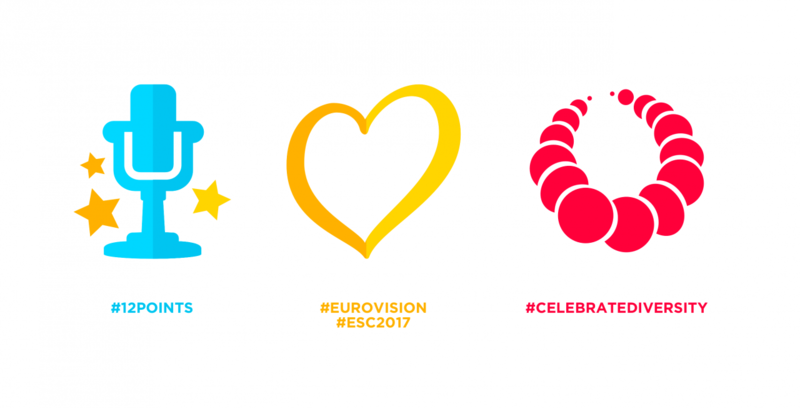 This year the theme of the ESC is ‘Celebrate Diversity’. True enough, you will find the sights and sounds of Eurovision show how diverse our music tastes and cultures are, and also how they overlap. You will hear numerous female power-ballads which all sound the same, and there are lots of contemporary pop songs. A couple of Ed Sheeran sound-a-likes, and only a small number of countries not singing in the English language, which kinda contradicts the diversity thing, right. That said, plenty to delight and confuse our eyes and ears over the 42 entries this year. I’ll start with my preview of the first semi-final. See if you think the same as I do, and as always it’s all about predicting the ‘napkin of death’, and the ten songs that will progress to the Grand Final on Saturday night.